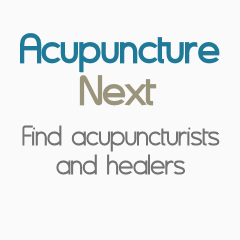 Dr. Kira Rio is a licensed acupuncturist and herbalist in Sanford, Florida. She owns and practices at her clinic, Gentle Roots Healing. Dr. Rio offers Chinese medicine diagnostics and a holistic view of health to bring wellness to peoples lives. She uses a combination of acupuncture, Chinese herbs and nutrition to provide natural healing in a safe and gentle way. Dr. Rio has training in Mei Zen Cosmetic Acupuncture, Orthopedic Electro-Acupuncture, Distal Needle Acupuncture and TCM. Her specialities include treating chronic pain and fibromyalgia. My journey into natural medicine was inspired by my love of nature and helping others. I'm honored to be able to follow my passion in using this incredible healing to truly change peoples lives. I believe in choosing our own paths, finding the truth in all things and being genuine to ourselves. Be honest & kind and you will always be led the right way. That being said, i'm so excited to be the guide that lights your path to holistic, compassionate, natural healing.